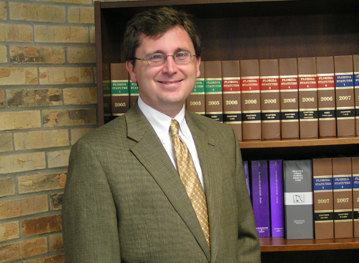 James S. Eggert joined Owens Law Group, P.A., in February, 2006, after practicing 14 years with a Tampa law firm. A native of Tampa and a Brandon resident, Jim received his J.D. from the University of Florida College of Law in 1992, after obtaining a B.A. in History and Philosophy from Wheaton College in 1989. Jim is admitted to practice in the Middle District of Florida as well as the Eleventh Circuit Court of Appeals. He is a member of the Hillsborough County Bar Association and was past Co-Chair of the Elder Law Section. He has lectured on probate, estate planning and living wills and has practiced for many years in those areas as well as in guardianship administration, including contested matters and appeals. Jim serves on the Board of LLT Academy, a Hillsborough County charter school, and is active in the Presbyterian Church in America. The hiring of a lawyer is an important decision that should not be based solely upon advertisements. Before you decide, ask us to send you free written information about our qualifications and experience. The information on this website has been prepared by Owens Law Group, P.A., for general information purposes and does not constitute legal advice. The information on this website is not privileged and does not in any way create an attorney-client relationship with Owens Law Group, P.A., or any of our attorneys. This website is not an offer to represent you. You should not act, or refrain from acting, based on any information found on this site. Licensed to practice law in Florida. Copyright © 2004 by Owens Law Group, P.A.